The most beautiful German Shepherd dog is nothing without the ability to work, this is the important characteristic of the breed, which is often overlooked. The German Shepherd is a "working" dog. He must possess this desire with confidence, clear in the head courageousness, the ability to adapt to any situation, be prepared to protect and defend his territory, attack only when given a command by his owner, an obedient, pleasant family companion. 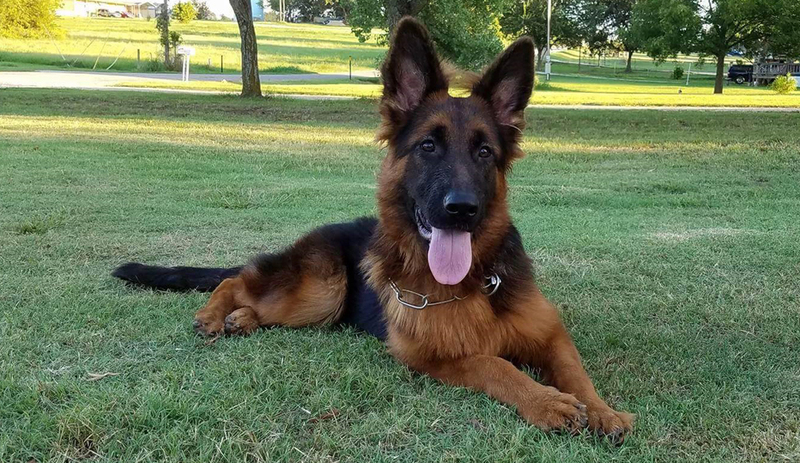 The German Shepherd dog is devoted to his family and home, have an excellent character for socialization with other animals, a passion to interact with humans, especially with children. A true family member with robust health. A faithful companion and most often your only best friend. A Harmoniously balanced dog with nobility, ready to explore, ready to please, proud and self-assured with un-matched loyalty. If your considering a German Shepherd Dog as a family addition, please make sure that this breed is the best fit for the situation. The German shepherd dog is strong in body, spirit, and mind. A German shepherd dog need much attention, love, and firm guidance as they grow -- which they do so very quickly. They make excellent family and companion dogs, although they sometimes pick one person as their special person, they can relate well to all members of the household. If they are raised with children, they will develop an abundance of tolerance to the grabbing and poking of tiny fingers.